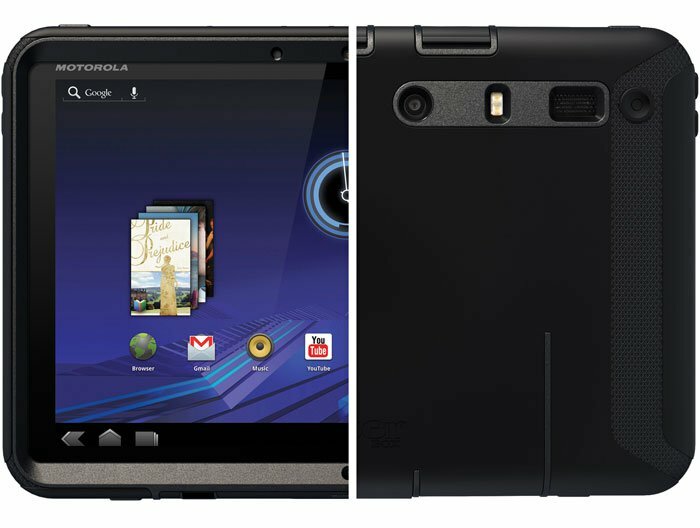 The Otterbox Defender case for the Motorola XOOM that you have all been waiting for is now available. It seems like this thing has been in the making for months now, so here’s to hoping it was well worth that long wait. One thing I do know is that it better act as an ATM or a beer dispenser in order to live up to that steep $89.95 – yikes. To Otterbox’s defense though, they have made some of the more popular and uber secure products in the past, so I’m not actually doubting that this will be any different. My teeth just start hurting when I look at a case for a mobile device that cracks the $30 mark. Anyone used Otterbox products in the past? Do I dare take the plunge and buy one? After watching that tablet drop test we posted earlier in the week, I’m sort of feeling like I should.